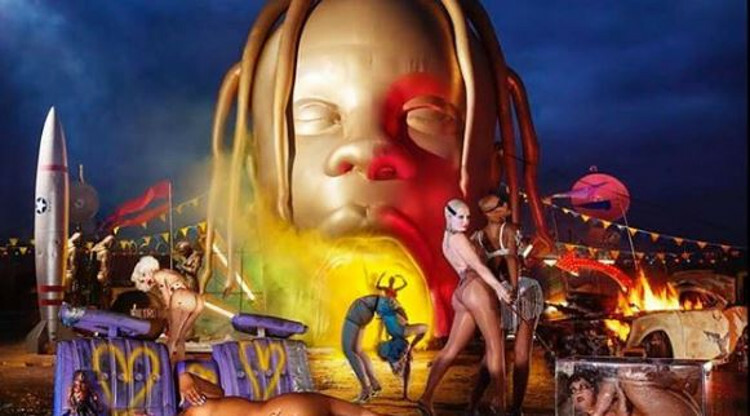 Travis Scott's promo for Astroword has been a highly visual affair. 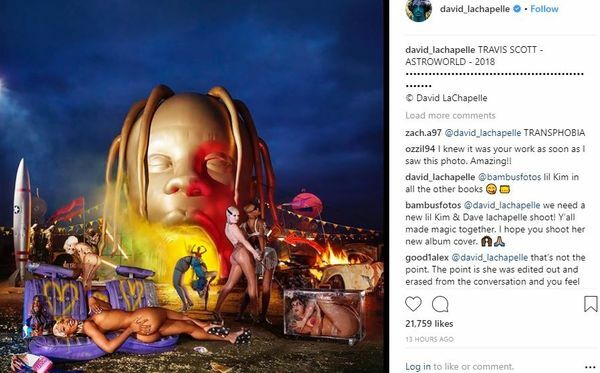 That includes the splashy, colorful album cover, which comes from legendary pop-photographer David LaChappelle. Here's the version the cover that Scott posted last night. It happens to be a little different than the version the cover LaChapelle posted last night. The difference is what's going on to the right the rocket. In LaChapelle's version, famous transgendered model Amanda Lepore is showing everyone her booty. That's been shopped out the Scott version. Why do you think Scott posted a different version? We guess we'll see which version prevails when the album drops this Friday.